Hey there. A new article has been posted on the Get It Scrapped blog. Today's ideas feature a sketch, adapted from a layout created by Noell Hyman for the Get It Scrapped Membership. I liked the diagonal flow of this sketch, and the idea of steps going up from the bottom left to the top right of the page. It also gave me a chance to play with layering, which Ive really been enjoying lately. 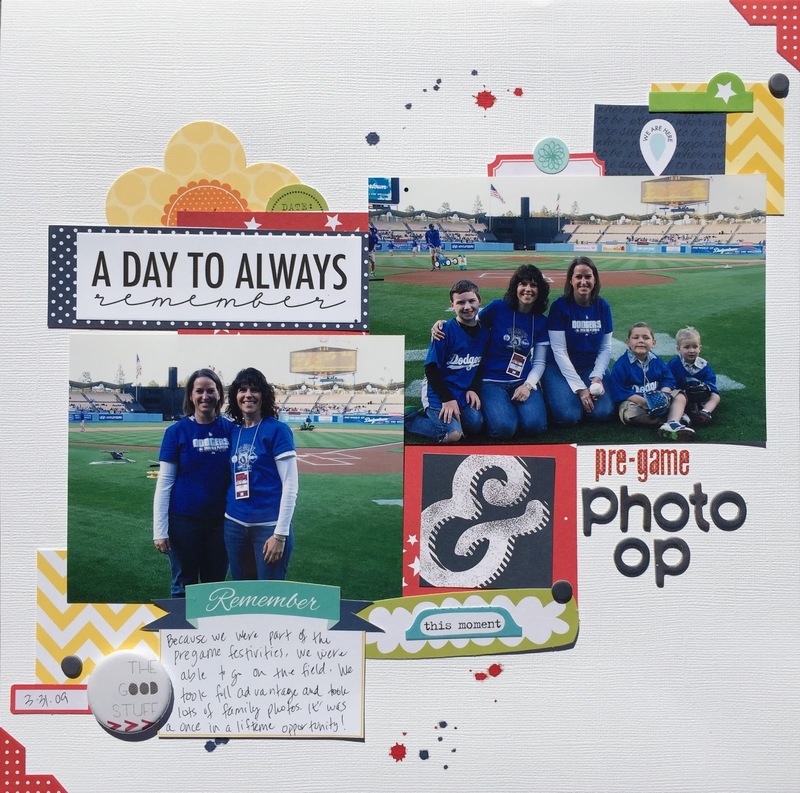 This page is part of a series from my Grandfather's 90th Birthday party at Dodger Stadium. We were part of the pre-game activities. As a result, we were able to take some family photos on the field before he game started. Sketches are a great way to combat creative block as well as learn some design skills. There are several creative team examples in this article. Thanks for taking look at my creative view today. Ive got some new things to share, so check back again soon.